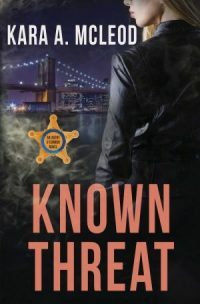 Special Agent Ryan O’Connor is starting to get her life back together in the aftermath of a shooting and her boss’s arrest. Despite scheduling incompatibilities preventing them from seeing one another, she and Allison are doing great; she’d preparing to return to full duty, and she’s trying to clock out the voices of those who’ve been doubting she still has what it takes to do her job. Ryan should’ve known things were never that simple. When a ghost from her past reappears without warning, blindsiding her in a way she never could have expected, Ryan’s entire existence is shaken. She’d always believed that the best protection any woman could ever have – aside from a gun – was courage, but now she finds herself asking a question she never thought she’d need to answer: Who protects the Secret Service?